Design for a remodel and refurbishment of an existing loft conversion of a 3-bedroom Victorian terraced house in Walthamstow, East London. 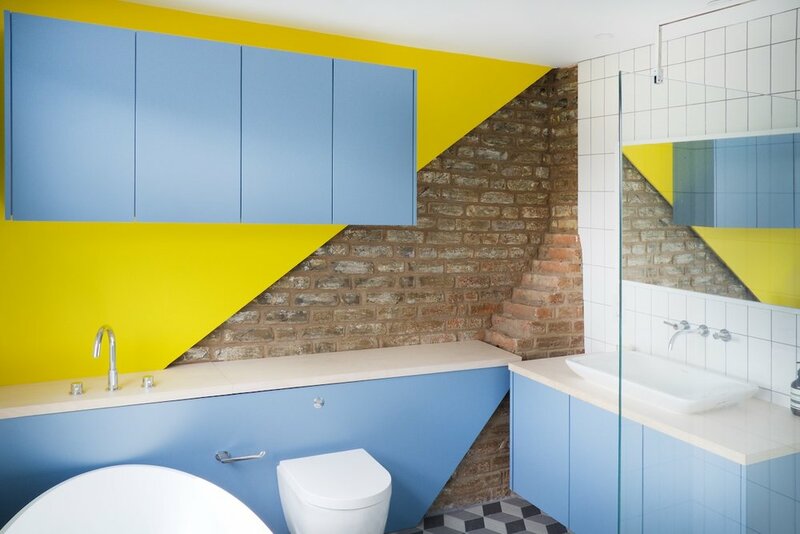 The project includes creating a new master bathroom and an additional bedroom for the clients who want to make the most out of their property. 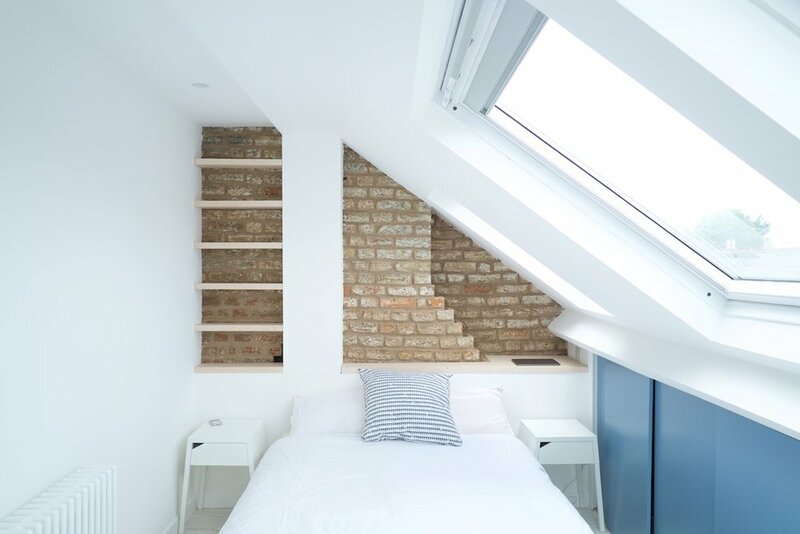 Although the loft was converted when the clients purchased the property, it was done to very low standards and did not make the best use of the space so we brought the buildings envelope back to a satisfactory level including better insulation, new electrical wiring and plumbing. 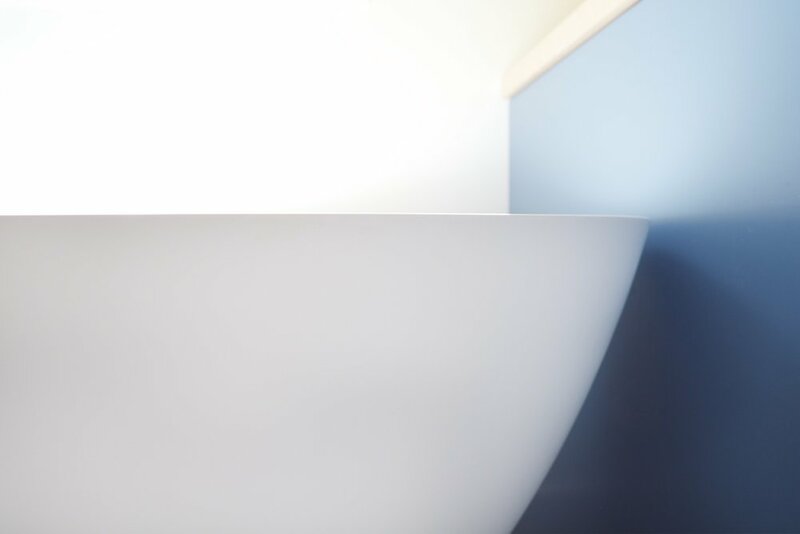 We then re-arranged the loft space to include a generous master bathroom to the rear with contemporary freestanding bath, WC, large walk-in shower and bespoke joinery. The brickwork was stripped off its white paint and repointed to provide a warm feel and rustic look. 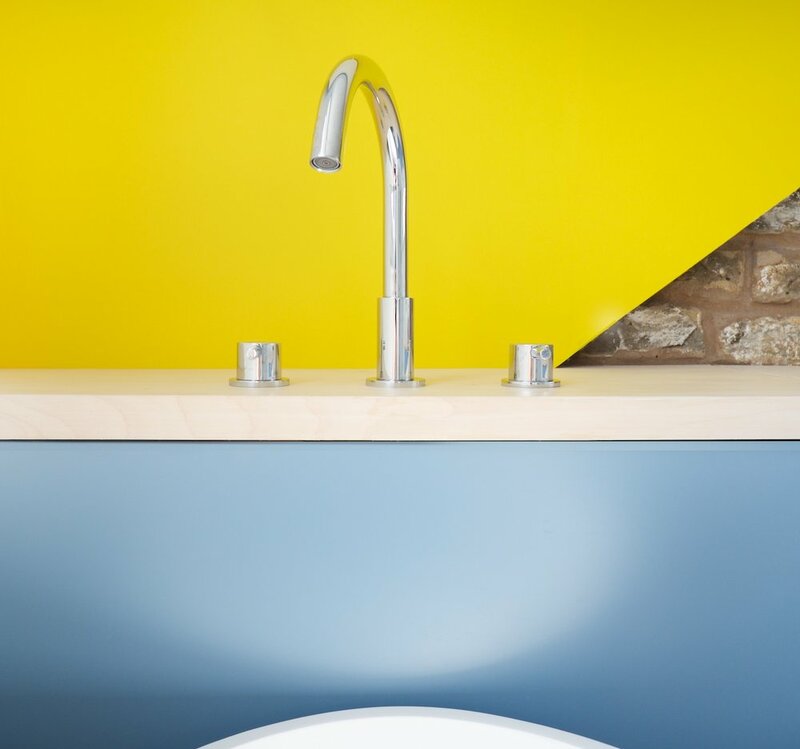 The yellow wall intersects the brickwork and exposes the old roof line whilst providing solid fixing points for the bespoke cabinets. Towards the front lies the new bedroom large enough for a king-size bed with the same beautiful white-washed engineered oak flooring, bespoke storage and built-in shelving. The existing glass brick walls were kept and its beading painted anthracite grey to reference a Manhattan loft window.